This is my attempt at using a leftover stuffed shell to make an armadillo. I had to curve the tail to fit in the bento. The armadillo is on a bed of green beans. I used a slivered almond for the ear and piece of dried blueberry for the eye. 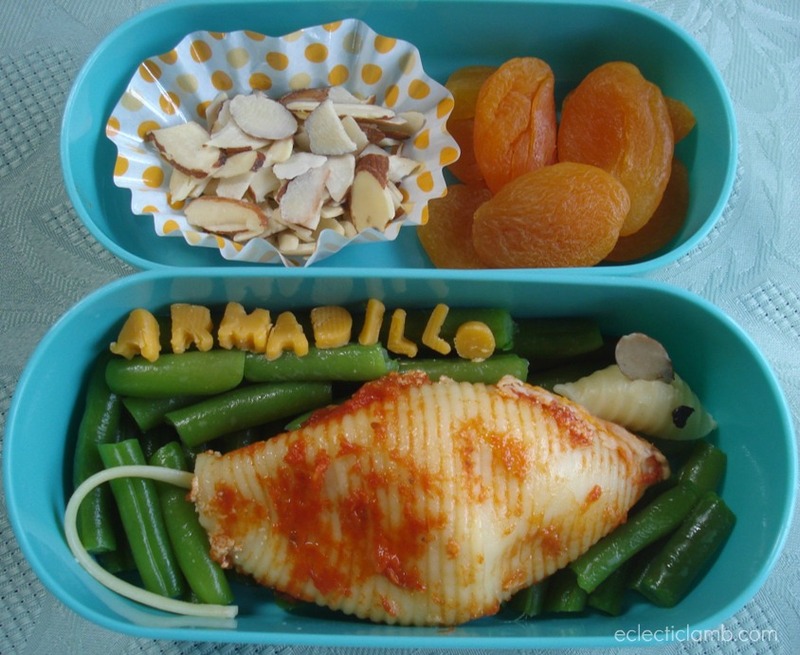 The armadillo letters are from cheddar cheese. In keeping with the letter “A”, I also added almonds and apricots. This entry was posted in Bento / Cute Food. Bookmark the permalink. Very cute and looks sooooooo yummy! Great use of leftovers! I would never have imagined a stuffed shell armadillo. Well done!